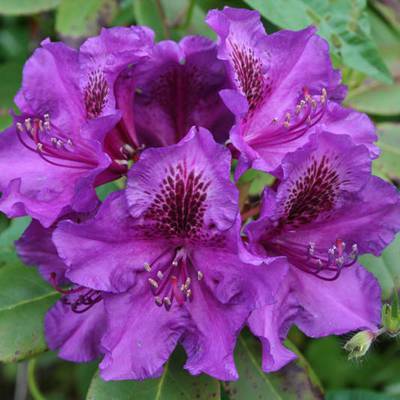 Rhododendron ‘Purple Passion’ | J.C. Bakker & Sons Ltd.
An abundance of regal, deep reddish purple blooms highlighted with white and delicate maroon spots appear in late spring against glossy dark green, disease resistant foliage. 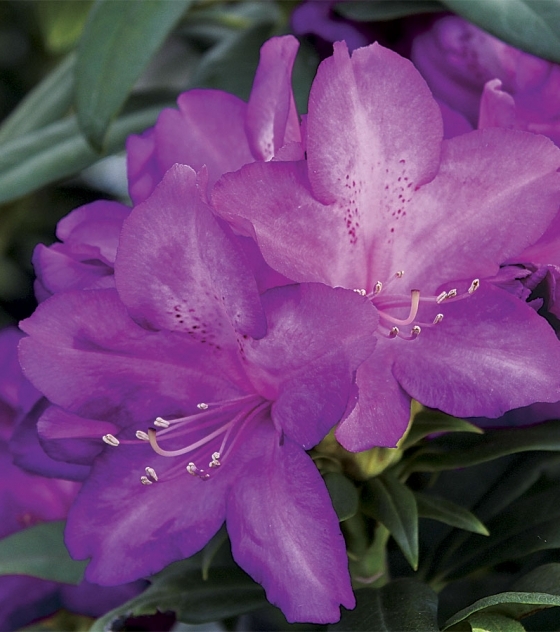 The compact, rounded form creates a handsome hedge, foundation plant or accent in a dappled shade garden. Evergreen. SKU: 56400302. Category: Broadleaf Evergreens. 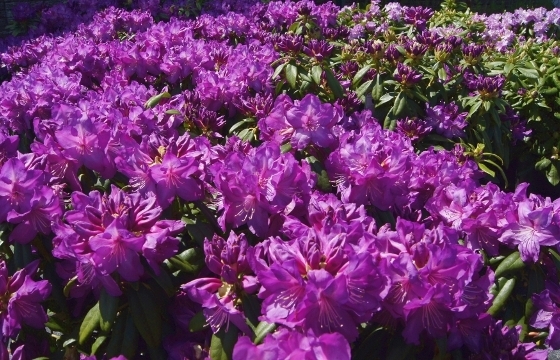 Tags: passion, Purple, Rhododendron.